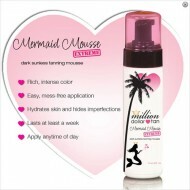 Million Dollar Tan hefur verið valið sem brúnkuspray númer 1 í USA, af miðlum eins og CBS NEWS, American Spa og Marie Claire. 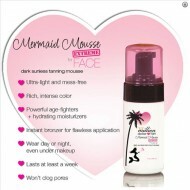 Cabana Tan is the rub-on sunless tanner that for years we have dreamt that drug store&nbs.. This is what made Million Dollar Tan famous. 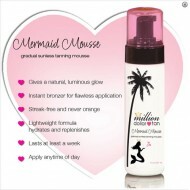 Tan Icon is our spray tanning solutio..
Cabana Tan Extreme is the same great color combination as our original Cabana Tan, but&nbs..
Tan Icon Extreme is Million Dollar Tan to the Extreme. This formulation was .. 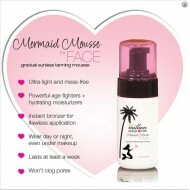 Blend Friend Barrier Cream is the pre-tan essential that’s going to take your tan from pretty good.. Blend Friend Cream 236 ml. 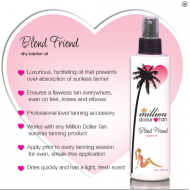 The perfect Million Dollar Tan begins with the perfect pre-tan accessory and Blend Friend Barrier .. Blend Friend Oil 236 ml.